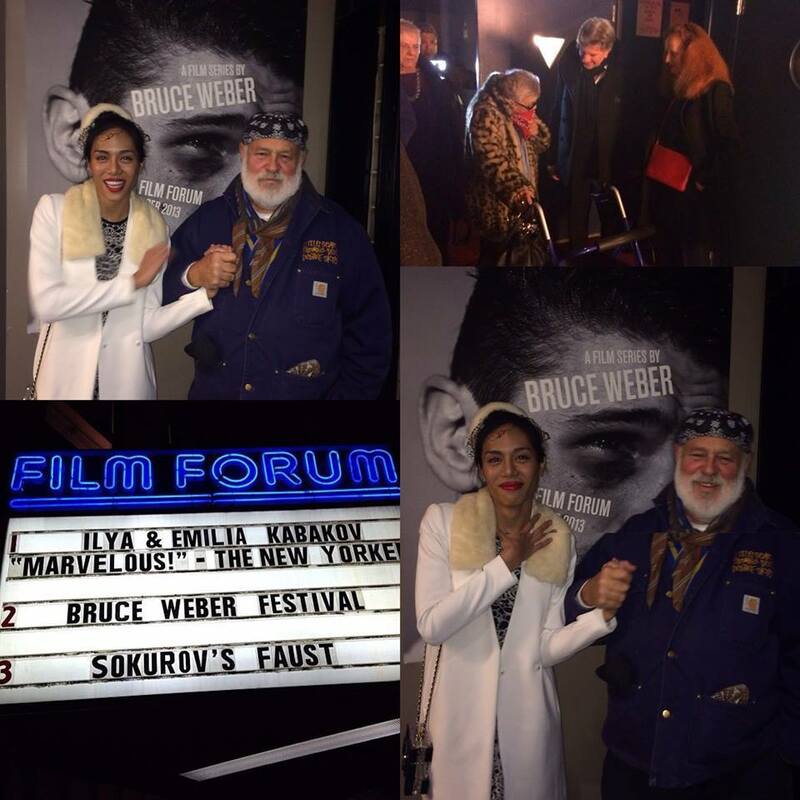 Dorothy Palmer and I celebrated Bruce Weber's documentary at the 25ᵗʰ anniversary of his Oscar-nominated documentary from 1988. "Let's get lost", is a film about the famous jazz musician and jazz singer, Chet Baker. 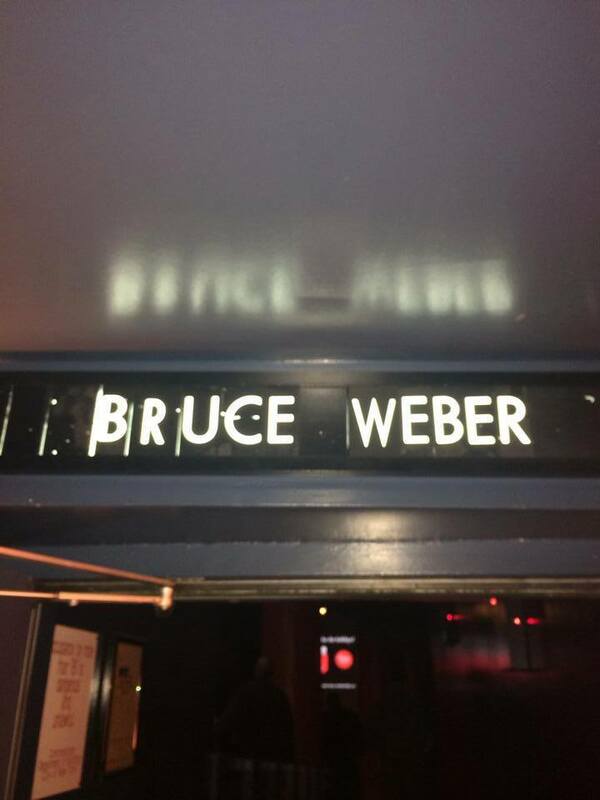 Bruce Weber's film was re-introduced on Friday, November 15 at 7:00 PM. at the Film Forum, Soho, NYC. Following "Let's get lost" Bruce held a Q&A that was fascinating. Many people in the audience were curious about the process of filming Chet Baker. Bruce described how he spent over 2 years collecting enough footage to create the film and it is exquisite. The film affected me on so many levels, as any great film should. I was first captivated by the richness and strength of the black and white cinematography. By using such a simple base of tonality, one could focus on the depth of his character and his spiritual journey. Chet Baker had a very complex personality and Bruce Weber was the perfect artist to be able to capture his spirit. Because Bruce's film style is so intimate, one is seduced into the same space of all the characters. Bruce made me feel so close to Chet Baker. While everyone was waiting in the cinema, I came out side to get some juice and snacks for my friends. Suddenly, I saw many flashing cameras. I turned to the entrance and saw Bruce. At that moment, I became paralyzed and overcome with emotions. Even though I wanted to speak, my voice escaped me and instead tears came to my eyes. Eva Lindemann (Bruce's longtime producer) was standing nearby and I quietly asked her to take our photos. Bruce was about to enter the cinema and he really didn't have to stop to take more photos with me but he stopped !! Bruce grabbed my hand and I just followed him. You can see from my photos below, this was a very special moment for me. Eva Lindemann captured the moment when Bruce Weber grabbed my hand. Bruce Weber is known for his legendary photography and iconic films, and starting Friday at Film Forum, a week-long festival, you can catch some of his greatest works. Dorothy wore a vintage Gucci skirt, alligator boots, Italian nippa leather jacket, topped off with a vintage leopard print hat. Peche wore a stunning Alexander Mcqueen dress, an off-white ZARA coat, Chanel (of the moment) Lego Clutch, Christian Louboutin heels and finally a vintage ivory hat and collar.